Dry Sludge Silos 110 m3 with discharge equipment. 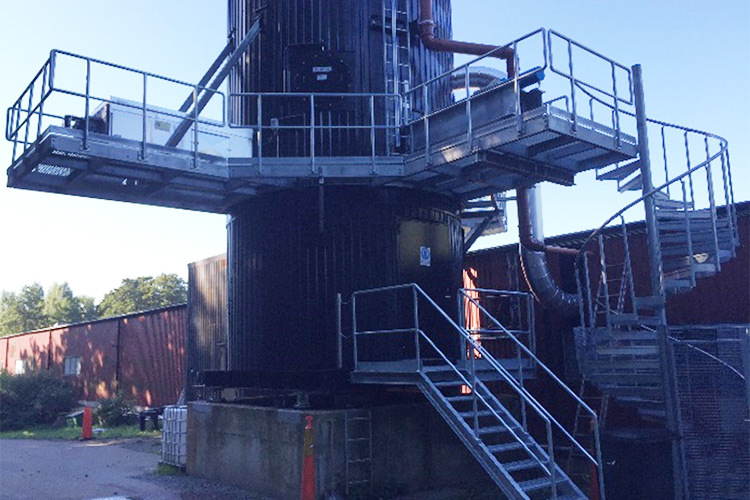 Saxwerk delivered in 2015 one new dry sludge silo for the water treatment plant, Roslagsvatten in Åkersberga, Sweden. Saxwerk has delivered, installed and commissioning one sludge silo consisting of a distribution screw ,steel silo, sliding frame, discharge screw and a complete control system with outloading panel. The system unload sludge to a lorry outside the silos.